Yes you are reading correct, a flying snake. A three foot long flying snake is spotted in a Kalampalayam village in Tamil Nadu. Venkatesan, a farmer, noticed the snake flying from tree-to-tree to catch its prey in his farm. He has approached a snake catcher and after a three hours operation, they caught the flying snake and handed over to forest department. 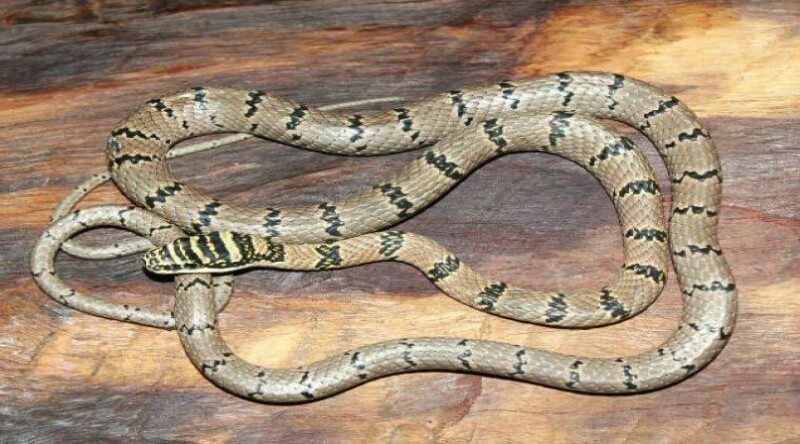 Forest department officals told that, these type of snakes are rarely found in India. They mostly live in dry zone areas like Cambodia, Vietnam and parts of Sri Lanka.